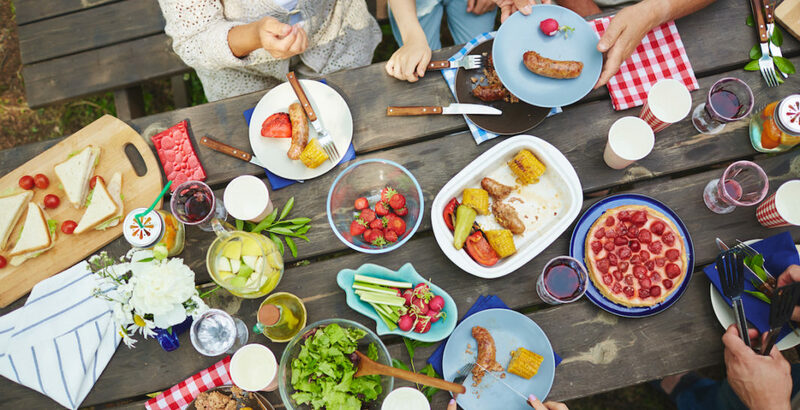 Summer’s heating up – patio season is in full swing, fresh fruit is plentiful, and you’re probably drinking way more lemonade and wine coolers than you should be. Which means your teeth and gums are working overtime to process all of that sugar! There are many ways to indulge in refreshing summer treats and protect your teeth from erosion and decay at the same time. It all comes down to the choices you make – from the snacks you serve at your family barbecue, to the drinks you order at the bar. You’ll be surprised to find out how many items in your everyday diet are gradually doing harm to your tooth enamel. But, not to worry – these tips will help you make more informed decisions, saving you from extra trips to the dentist in the future. When it comes to fruit, there are two factors that contribute to tooth decay – sugar content and acidity. Fruits with a high pH value, or acid content, can be destructive to the enamel of your teeth. Acidic fruits and fruit juices cause the enamel to weaken and demineralize, making them discoloured, highly sensitive, and sometimes irreversibly damaged. 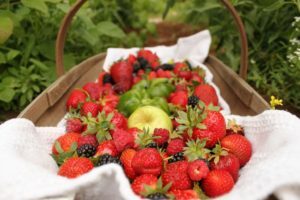 Fruit with a pH level below 7 is considered acidic – according to the FDA, here are the most acidic fruits and their pH levels. Of course, sugary fruit is always a better alternative to sweets and candy. But, if you aren’t careful of your portions, fruits containing sugars can also contribute to damage and decay of your tooth enamel. Here’s a list of fruits with the highest sugar content, ranked from least to greatest. As far as foods go, dairy products like cheese, milk and plain yogurt are rich in calcium, which is hugely beneficial to tooth health. In fact, eating a piece of cheese after fruit helps balance pH levels in your mouth and neutralize acidity. Conveniently, fruit and cheese can actually pair pretty well together. Phosphorus is another mineral that helps rebuild and strengthen tooth enamel – meat, poultry, fish and eggs are the best sources of phosphorous, for their high levels of protein. Other foods that strengthen tooth enamel include almonds, leafy greens, and calcium-rich tofu. It goes without saying that sports drinks and sodas are highly erosive and bad for your teeth. Recent research suggests that even sparkling water is considered erosive, but the impact to your enamel isn’t as severe. But, we know these can be hard to resist – drinking with a straw prevents the beverage from coming into direct contact with your teeth. And remember, it’s all about moderation. 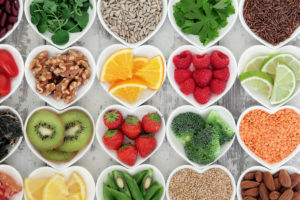 The occasional sugary treat won’t hurt, as long as your diet is balanced, and your teeth are getting the regular care and attention that they need!